Visit our subscriptions page for pricing information. Everything you need to track your chemical inventory from beginning to end. EMS addresses all of the special issues associated with storing, using, and disposing of hazardous materials. Track chemicals by location onsite with full support for barcodes and mobile apps. Keep better tabs on what's being used in your facility. iReview and authorize chemicals for users and locations. iOS, Android and Windows UWP apps for monitoring, updating, transferring and disposing of chemical containers. AdHoc reporting system allows creating custom chemical inventory reports with virtually unlimited criteria. Share surplus chemicals between employees across the entire facility. Set Inventory warning and stop limits for each of your locations based on hazard type. 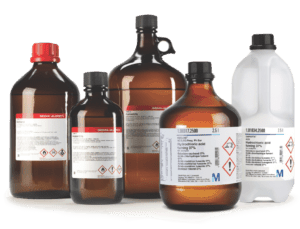 Create and manage shipping documents and labels for shipping chemicals. Inventory containers are linked to manufacturer specific safety data sheets. Print GHS labels on demand. Manage storage compatibility by chemical classification and/or hazard class. True cradle-to-grave tracking when used in conjunction with EMS's hazardous waste module. Federal and state regulatory reports including Tier II, DHS, SARA, HMBP, and Fire Department. Manage chemical storage locations with storeroom check-in and check-out tools. Set chemical reorder points and get automatic notifications when inventory is running low. Manage chemical purchases using EMS's built-in purchase order features. EMS addresses all of the special issues associated with storing and using hazardous materials. True cradle-to-grave chemical tracking can be achieved by using EMS’ chemical inventory tracking software in conjunction with our hazardous waste mangement software. Our easy to use cloud-based web application gives EH&S professionals access to real-time chemical inventory data so they can more easily comply with federal, state and local environmental standards. 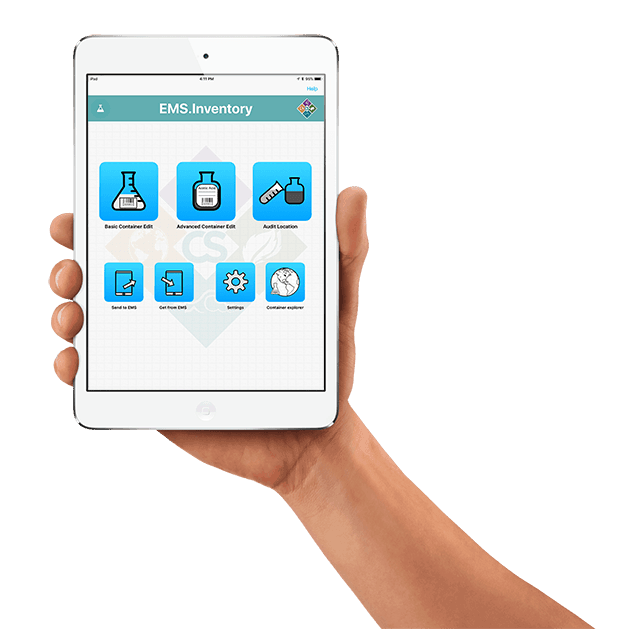 EMS also simplifies chemical purchases, distribution, and sharing. Chemical Safety’s EMS environmental health and safety software is a product with a rich history. It was the first commercially available chemical inventory tracking software solution offered in the US market and it’s since been widely adapted by corporations, universities, and government agencies (including the US EPA). Today, EMS continues as a market leader. Its extensive feature set, ease of use, and low implementation cost make it the EH&S software of choice for both large and small organizations. A leading biopharmaceutical company that focuses on drug discovery determined, following an internal safety audit, that it did not have the processes in place to monitor, update and report chemical use in the facility. Chemicals were purchased centrally, but scientists did not review or update any information on storage, use, or disposal. This resulted in excessive chemical purchasing, unsafe storage of incompatible chemicals, expired chemicals in inventory and chemicals listed as available but missing at critical times. This resulted in unnecessary purchasing costs, higher than forecast waste disposal costs and significant regulatory and corporate exposure. Chemical Safety Software was tasked with implementing a software solution that addressed these issues efficiently, maintaining current and accurate chemical inventories labeled and stored safely, utilizing barcode labels and smart phones and tablets to easily update information and streamlining the hazardous waste disposal process. The solution provided by Chemical Safety was the implementation of processes centered around our comprehensive chemical management software, Environmental Management Systems (EMS). Chemical Safety configured EMS on a cloud-server, transferred location, chemical and waste data from disparate data sources into a single database, cross-referenced the chemicals with Safety Data Sheets and GHS information and trained lab and research personnel on ways to update information using smartphones and tablets quickly and easily. The solution was well received by all involved within the company as well as the local regulator who praised the organization for their accuracy in reporting.